People still mistakenly believe that eating a lot of protein from meat hurts your bones. The reason is that some studies found that people would lose lots of calcium through their urine after eating protein. Scientists have speculated for decades on the reason for all that calcium leaving people’s bodies. Way back in 1968, a piece published in The Lancet theorized that you use calcium from bones to counter the acidity produced when you break down the meat you eat when you digest it. But just speculating it was “because of meat” doesn’t make it true. “No convincing data have been published showing that a high protein diet, using complex proteins for prolonged periods of time under strictly controlled dietary conditions, causes calcium loss. And listen to this… I love this study. I read it in the American Journal of Clinical Nutrition. Yet many “experts” still warn that a high-protein way of eating will cause osteoporosis. And vegetarians have grabbed on to this as a reason not to eat meat. But not only is the meat-calcium theory a myth, it turns out the opposite is true about bone strength and vegetarianism. It’s plant protein, not animal protein that leeches calcium from your bones and causes lower bone mineral density. A study focused on 572 women and 388 men from 55–92 years old living in Rancho Bernardo, California. Sorry to vegetarians who think they are eating healthy but facts are facts. For every 15-gram per day increase in animal protein intake, overall bone mineral density increased, especially in the hip, neck and spine. Yet the opposite happened with vegetable proteins. The more vegetable protein, the lower the bone mineral density. (3) The study also showed that high calcium intake did not seem to protect those who ate a lot of plant protein. The women who took in the most calcium lost bone mineral density. The simple fact is that your body can’t build bones from plants because they contain incomplete proteins. So if you want stronger bones, your real sources of protein are the same as they have been through the entire course of human existence: animals and animal products. That means meat, eggs and fish. Vegetarians will try to tell you that there’s plenty of protein from plant sources like brewer’s yeast or soy. No, there isn’t. Plus, soy is not a natural protein, and neither is gluten from wheat. You have to process soy and wheat to get these proteins out of them. You would otherwise never encounter them in a natural setting. Don’t get me wrong, you can get amino acids from fruits and vegetables. The avocado, for example, has a high amino acid rating of 129. A rating over 100 means the food is a fairly good source of essential amino acids in the right proportions. But what about some of the plants vegetarians like to tout for their protein content? Soy and flax only score a 96. Adzuki beans? Only 74. Oat bran has an amino acid rating of only 86. And what about those “whole grains” every dietician, nutritionist and even the USDA are telling you to eat more of? Whole grain wheat flour only has an amino acid rating of 54. Now check out the amino acid scores from various animal sources. Their protein quality is off the charts. To build stronger bones from complete proteins, I recommend you stick with the true proteins your body evolved with: animal products. 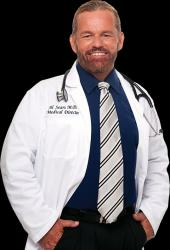 Dr. Al Sears is fast becoming the nation's leading authority on longevity and heart health. His cutting edge breakthroughs and commanding knowledge of alternative medicine have been transforming the lives of his patients for over 15 years. Dr. Sears currently owns and operates a successful integrative medicine and anti-aging clinic in Wellington, Florida with over 15,000 patients. Over the course of his career, he has developed his own approach to heart health, longevity and anti-aging medicine - combining the best of modern medical science with natural holistic techniques and treatments. Q&A: What’s Really Causing My Sensitive Teeth? For a decent chunk of vegetarians (folks like me), the health issue is NOT the key issue – even though the word ‘vegetarian’ does NOT stem from ‘vegetable’, but from the Latin ‘vegetus’ meaning vigourous. What is much more important for the bulk of vegetarians: the inherent atrocity in killing and eating anything that is aware of itself, and keeping the burden of proof tilted in favour of assuming that complex life generates self-awareness… the ‘sentient is the default’ paradigm (rather than Descartes despicable “cats scream when being dissected alive… that’s just the screeching of the cogs in a machine”). I’ve said this before: I am against killing things when it’s not necessary for survival… so I would accept a lower level of overall health, and a shorter life, if it contributed to a reduction in animal suffering and slaughter (I would also have fought to abolish slavery if I had been alive in the 1830s: it’s about extending the circle of value outward from the current consensus). Fortunately, I don’t have to do either: at 46 years of age I can maintain a 6’2″, 230lb frame with a VO2max at 46.3 (on a bad day) and a resting pulse of 57… on a purely vegetarian diet (not vegan: I eat eggs and a tiny bit of cheese – Reggiano and Roquefort). By Christmas of this year I will have raised my V02max to 52, which will be on a par with college athletes (I’ve only recently gotten back into serious training) and I’ll STILL be the size of a linebacker (almost exactly halfway between Lawrence Taylor and Mike Singletary). So y’all babble on about how vegetarians are pasty protein-deficient husks, and me and Mike Mahler (a 220lb vegan who runs ‘Aggressive Strength’) will laugh at you on the interwebs. Regardless of urine calcium content, vegetarians do not suffer osteoporosis or bone fractures in higher percentages than meat-eaters. The opposite is true, for whatever reason. This study may take away one argument in favor of vegetarianism (animal protein causes high calcium loss through urine), but the statement in the article “Sorry to vegetarians who think they are eating healthy but facts are facts” is completely unwarranted. Vegetarians are usually healthier than meat-eaters – obviously, something is making up for any supposed loss of bone density, and this study has not suddenly proven being a vegetarian is unhealthy. If only Americans had the same shaking, quaking terror of heart disease, diabetes, stroke, and high cholesterol that they have of protein deficiency. But, no. The supposed horrors of incomplete proteins are for some reason an argument-ending deal-breaker, as if Americans were constantly living on the edge of starvation and desperately clinging to every nutrient within grasp for the sake of survival. Kale is an incomplete protein? Can’t be a vegetarian, then, I mean, my god – what if I only get twice my RDA of protein instead of four times it? Thanks for this important information. I especially think about my friend who is a vegetarian, yet is taking a drug for osteoporosis. It is really great to hear about healthy alternatives. Al Sears is in the pocket of Weston-Price and, often quoting from that foundation – is ALWAYS trying to bash Vegans and Vegetarians. In this article, Al seems to be confusing Vegans from Vegetarians, the latter allowing Eggs and/or Milk products in their diets (as long as an animal is not killed for their food). Plus his statement that : “The simple fact is that your body can’t build bones from plants because they contain incomplete proteins” is blatantly WRONG. Tell that to the BILLIONS of people in the world who are Vegan and who have had babies on a totally VEGAN diet since being in the womb. If we follow Sear’s “logic”, these kids would be born without any bones and all adult vegans would eventually have no bones left ! and stop trying to find an excuse for you addiction to blood. Generally I like Dr. Sears articles, but I agree he has missed the mark on this, in places. 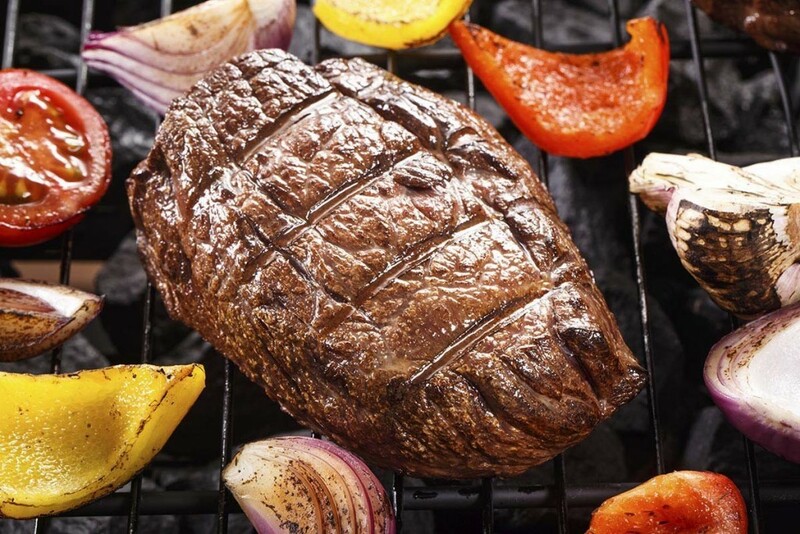 How to Make a Complete Protein Without Eating Any Meat. The argument that plants don’t have a complete protein is moot. Because in certain combinations you can make a complete protein. This is how Vegans and Vegetarians do it. It is even explained in Jethro Kloss’s “Back to Eden”. Plus it does not take into account that the body does not utilize the protein directly, but breaks it down into amino acids, and then recombines them into proteins. The body makes its OWN proteins. You are not using the protein from meat, you are using the Amino Acids from the protein in the meat. Thus, it does not MATTER the source of those Amino Acids!!!!! So it is only true if “Vegits” are not eating things that make a complete amino acid pool, and are therefore not getting all the amino acids they need. That being said…go here: Causes of Osteoporosis. Interesting article. No mention of proteins, complete or otherwise as a cause. It maybe a combination of several factors. 4. Lack of Calcium. – Duh!!!! 5. Lack of Vitamin D.
7. Thyroid Conditions – Oh great. I am soooooo there. 9. Medications. – Gee, something a Doctor prescribed?????? 10. Medical Conditions – other hidden maladies that for one reason or other don’t utilize calcium. Not one mention of protein from ANY DIET!!!!!!! I think it is pretty much MYTH BUSTED!! HOWEVER…..I agree the study shows that meat eating is OK AND NOT A SOURCE OF BONE LOSS, and there is no real reason not to eat SOME!!! Maybe just not a strict diet of it alone. I favor a balance. I tried Vegetarian because my instructor was vegetarian. 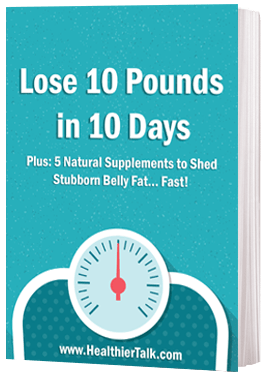 His family were big meat eaters and no salads, so their DIET was incomplete, (it was probably that they were not eating LIVE LIVING FOOD….I.E. PLANTS in the natural state, and imbalance! So the cells suffered!!!! ), they all died from cancer. His brother died from brain cancer. He started to get it and other things like Rheumatoid Arthritis, so he went totally vegetarian. Although probably Vegan is more accurate as he ate eggs and such. That and herbs and herbal healing salves for pain and cleansing, HEALED HIM!!!!!!! But even then, I ate Turkey for Thanksgiving and Xmas!!! My current problems come from antibiotics and a bad case of Candida!! Not my diet. Fruits and vegetables have a little talked about property. CLEANSING!!!! They clean the blood, and body of free radicals, toxins and other impurities. They can increase circulation and so stop stagnant blood. One of my students does a 10 day fruit and veggie diet. HE ALWAYS FEELS BETTER AND FULL OF ENERGY!!!!!! He cleans out all the built up wastes and impurities. He is quite the huntsman, and has fresh killed game from birds, turkey and deer or elk, and fish. He is a Hodgkin Disease survivor. He worked on his Uncles farm, lots of chemicals. I think you will find that it is the PROCESSING THAT MAKES FOOD LESS NUTRITIOUS! Also Additives and chemicals. All the life has been taken out to make it more inert so it has more shelf-“LIFE”. I put that in parenthesis because there is little to no life in it any longer, so it is a pun. If balanced with fruits and veggies into a TOTAL DIET then I see no harm. But meat eaters cannot say Vegans and Vegetarians are not getting a complete protein either, the body makes its own protein from its amino acid pool. As long as you are getting all your amino acids…..Everything is JAKE!!! A complete diet will not have ANY DEFICIENCIES and it is deficiencies that generally cause disease. That is why I favor a balance. Also, as far as calcium is concerned, I think you need some other things that help absorption as well as type and source, and there are things that hinder absorption and even use up calcium QUICKER! If you are doing things like smoking that can deplete the calcium, even if you just took a capsule…. What a lot of rubish, Seventhday Adventists are tested all over the world, and those that are vegetaians live about 9years longer than the rest of the population. and Vegans up to 12years longer. They don’t eat meat in India and their bones seem to be fine. Nikola TESLA the World’s greatest inventor of all times, behind our MODERN TECH, was a Serbian Christian Orthodox & a vegetarian for the last 55 yrs. of his life. Without him no FLYING, no watching TV, no Computer, Radio, car, helicopter, projectiles, all the lights & satellites, sound, audio + video as we know them, color and motion picture camera, endless. So that no meat-eater could invent the JET, car, first plane, helicopter, projectiles, pulse & propulsion (Titanic + submarines) endless. When Tesla died, everything that has come out of the 36 crates left in his room at the New Yorker Hotel, was confiscated and given to such others as Japan to develop, including the Cell phones, Ion tech and Ozonators, air and water, also what came out of these boxes were GPS, MRI’s and much much more. Happy Fantasies about a superior WESTERN EUROPEAN mead diet. We the SLAVS are the real blood descendents of the Ancient Hebrews & we have in our DNA & gene pool, the low protein & fats derives from meat by-products, as we followed a regimen high in plant foods, as directed by the precepts of the Bible, all the way 3.500 to 4.000 yrs. ago from the times of Moses. Vitamin K2 is probably the most important co-factor for calcium deposition. Without it, we’ll experience calcification of soft tissue, like arteries, kidneys, brain, etc. The #1 food source for K2 is natto, fermented soy beans. Other fermented veggies have it. Other than that, the only other food sources are from animals. Our gut bacteria doesn’t convert K1 to K2 as we once thought. So if folks who prefer to eat no animal products are getting enough fermented vegetables in their diet – that’s great. If not, they better try. The problem I see without meat or dairy is the lack of fat soluble vitamins and minerals. Humans have been eating meats, organ meats, and animal products for centuries from wild animals. Unlike fats and proteins, grains don’t provide any essential nutrients. If one chooses a particular eating style for whatever reason, the most important thing is that we are nutrient replete. That’s the best way to prevent any disease, including osteoporosis. Seems that animals do very well eating vegetation all day long for thousands of years producing big strong bodies. Elephants, rhinos, hippos, the largest on the planet. The ancient brontosaurus being the largest. Yet eating them will make things better? Just getting our Ph level adequate seems to be major which does not allow things to work right. This is because of an over acid body.